James Freed owner of KingDome Greenhouses was my guest today! Actors and Actresses in Washington? Wait, what? AOC and the Justice Democrats was on topic plus Hemp, Food and Self Sufficiency for these troubled times! How can we begin to heal humanity? Where does it start? Outside of ourselves or do we need to innerstand the inner Kingdom first. Are our temples being manipulated by the trans-humanist agenda? What are the delivery systems the global elite using to change our RNA and DNA. Trump, Q, JFK jr, Gematria, Twitter Time Stamps and Decodes? Is there a secret was being waged by the Maestro against the Global Cabal and is he communicating about that war with us?? Thought Provoking Show as always! 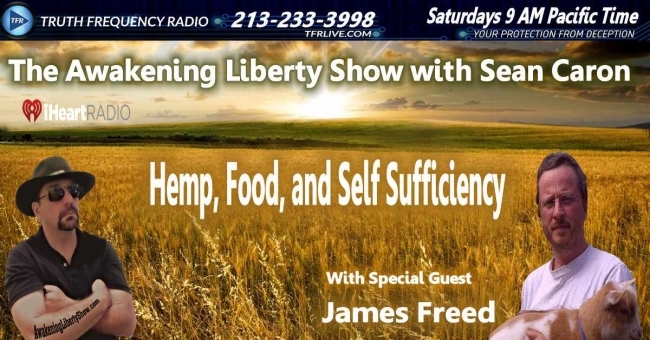 Many Thanks to James Freed!